Pegboards are amazingly versatile and perfect for tiny home owners looking for creative and unique solutions to add storage and display their personal belongings in an organized and stylish way. Not only do they make use of your vertical space, they also allow you to even double a canvas to display your unique sense of style, customized to your tiny house. 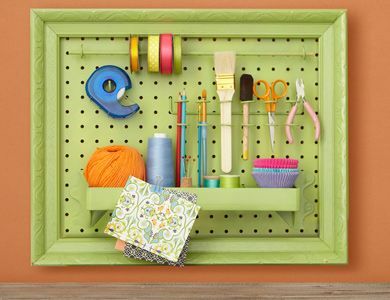 Check out these intriguing and useful ways you can utilize pegboards to fit into tiny living! In the bedroom, a pegboard is a cool way to add some personality and extra shelving. 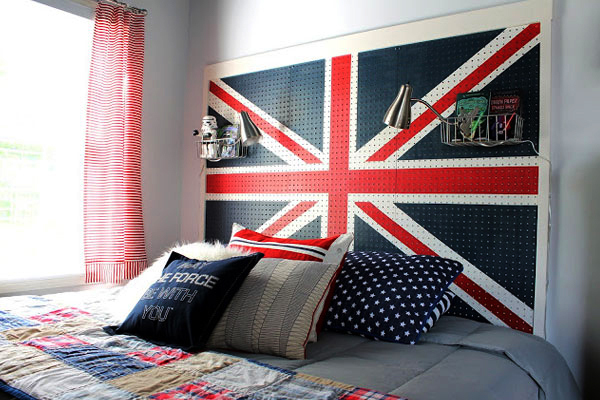 Mounted behind your mattress, it can not only double as a headboard, but you can paint your pegboard with the colors or pattern of your choice serving also as a colorful statement wall. Add a couple of hooks and wire baskets as extra storage for clothes, shoes or blankets. 2. Need more room in the kitchen to hang pots, pans and utensil? Never fear, having a pegboard in the kitchen can keep you organized and neat. In addition, it can free up much needed counter space to prepare your meals. 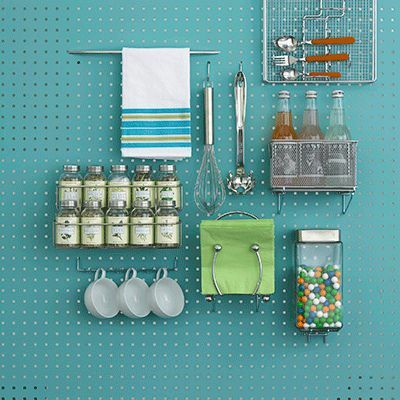 Besides adding hooks to your pegboard, you can also add small bar rods to hang towels or cups of your choosing. 3. Want to give your tiny house more personality by adding your own touch? Art is a great way to stylize your house and customize it to your liking. But not only can it get quite pricey, it is hard to find the perfect piece that suits your own aesthetic. 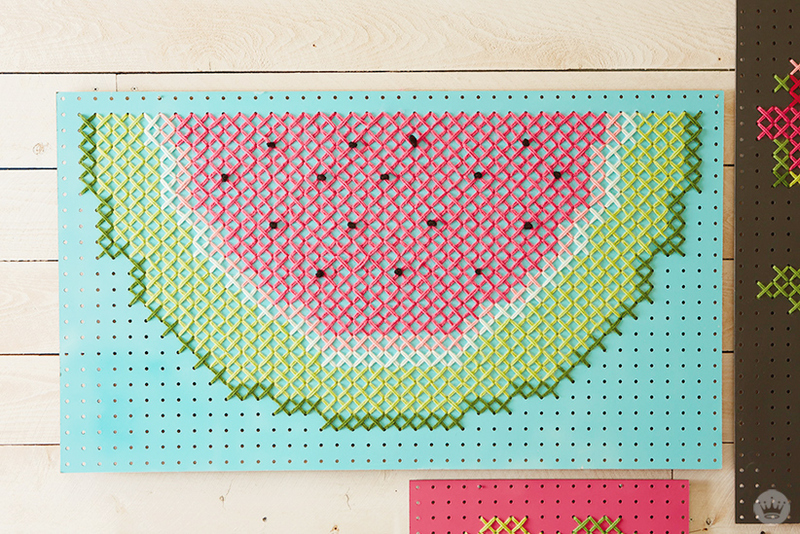 Pegboard cross-stitch wall art is a creative and fun way to brighten up a room. Ready to dive into this project? Take a look at Dream A Little Bigger to learn step-by-step how to make your own unique pegboard. 4. Make a cool pegboard hanging planter or garden and grow any plant of your choice. Pegboards make it easy to grow fresh herbs and vegetables perfect for those looking to expand their culinary skills. Have a green thumb and love to grow plants, here is a great way to connect back with nature. Not only is the board a great way to go green, it also serves as a cool statement piece in your house or hanging outside on the side of your tiny house. 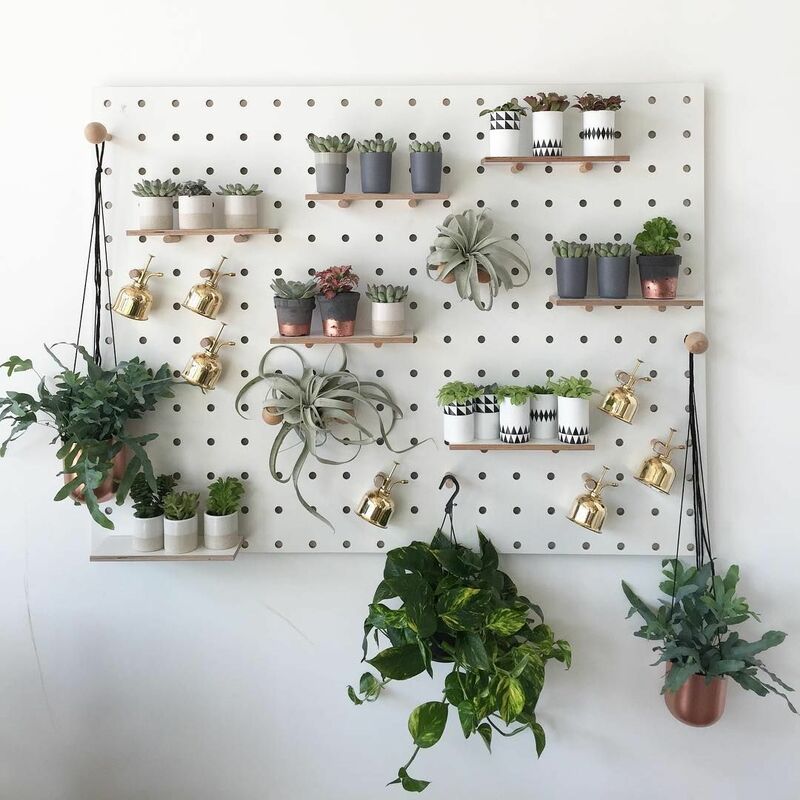 Here is a great DIY pegboard planter that does not break the budget and a fun aesthetic to your tiny house. 5. Don’t have anywhere to put your accessories? 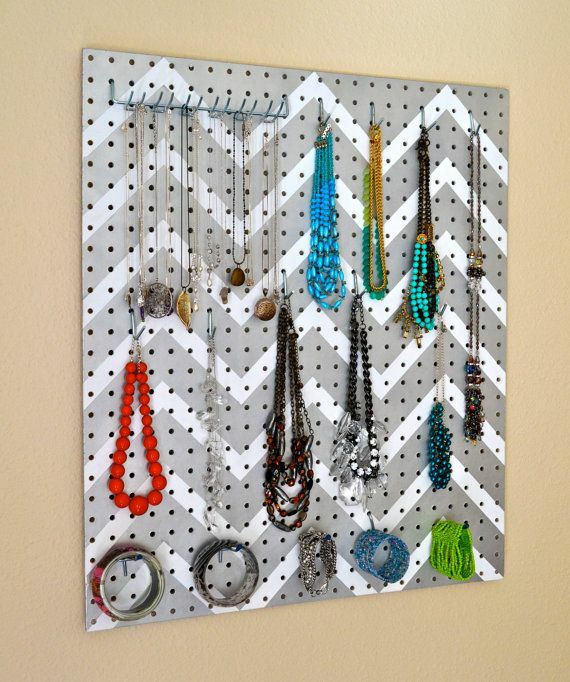 Use a pegboard to neatly organize and hang statement jewelry pieces. All you have to do is hang up some hooks and space them out depending on the size of your jewelry. Not only will they be easy to keep neat, but this is a hassle free way to keep track of all your jewelry without taking up too much space. Still not sold, paint a cool pattern or color that will turn it into a splash of color to accent your wall.